This Mermaid Skirt wraps around but is on a fixed elastic band, this allows it to be pulled on to make it easy for the mermaid to run and do their mermaid duties. It is approx. 70cm long at the back so the tail can float along the ground. These beautiful mermaid tails are made from hologram fabric so they shimmer like the sea. They are worn using a velcro waist band. 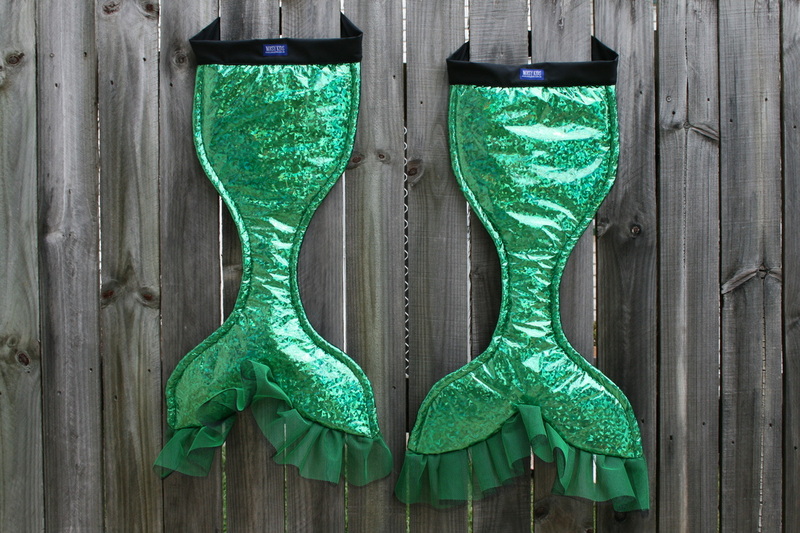 They are padded mermaid tails so they should not be worn in the water. They are approx. 70cm long. 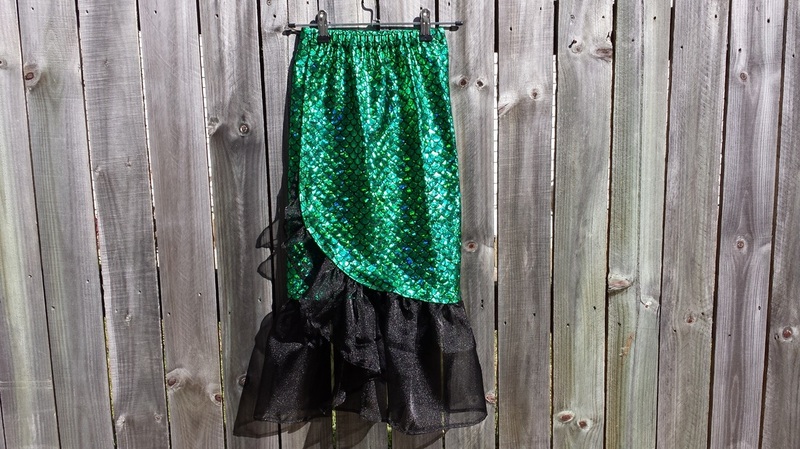 Your Mermaid Skirt or Tail will be handmade. The waist band length can be customised if required. Please submit a separate order form for each item you wish to order or email me regarding extra items. I will combine your order and post them together if you are ordering multiple items. Once I receive payment for you order, I will begin making your mermaid tail. It will take up to 2 weeks for your mermaid tail to be handmade depending on the craziness of my house at the time. I will never send you any item I am not 100% happy with. Anything else that you need to tell me to get your mermaid tail just right.